Cletus Victor Brown 87, of Ashwaubenon, passed away peacefully on September 11, 2018. Born and raised in Sheboygan, WI, the son of Blanche Carriveau and Victor Brown. He Attended Holy Name Catholic grade school and was a graduate of Central High school. Cletus met his wife of 67 years, Elizabeth (Betty) Lancelle of Green Bay on a double date at a West High school concert where Betty was playing the violin. Corporal Cletus V. Brown served in the U.S. Army from 1950-1953, with E. Company, 32nd Infantry Battalion, 7th Divison, 8th Army “The Queens Own Regiment”. Served with distinction in numerous combat actions in South and North Korea. Culminating with the “Chosin Reservoir Battle” depicted in the History Channel series “Fire & Ice”. Earning membership in a select group known as the “CHOSIN FEW”. Cletus like to say that he walked from one end of Korea to the other and back. He remained active with the men of his unit and other Korean veterans. Traveling to various Army bases and historic U.S. battle sites for annual reunions. Cletus enjoyed presenting to military history groups, sharing his experiences as a young infantryman on the Korean peninsula and at the Battle of the “Frozen Chosin”. Following the death of his sister Violet, Cletus and Betty, moved to Faribault, MN. Cletus helped his brother in law Don Becker with the family farm and Betty cared for nephew Franny and niece Donna. This tragedy created a lifelong bond with Franny and Donna who were considered members of the family. Returning to Green Bay in 1954 to begin their own family. Cletus attended the Badger Business College, while working at the Red Owl grocery store on 9th Street. 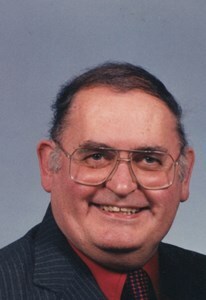 Following graduation Cletus spent 37 years as an Accountant with The Red Owl Corporation Distribution Center on Cormier Ave.
Cletus and Betty were founding members of Nativity Parish, members of United Commercial Travelers and Stephens Ministers. Where they helped elderly and lonely persons who simply needed someone to care and to listen. Dad belonged to the Chosin Few, D.A.V, V.F.W and the 32nd Infantry Regiment Organization “Order of the Bayonet”. Cletus enjoyed collecting and refurbishing antiques, clocks and furniture and just plain collecting. Cletus loved to collect, and boy did he ever! Following his retirement, he took a position at “Lindy’s Grocery store on University Avenue in the Produce Dept. A career that came full circle, Cletus started in the Produce Dept. and ended in the Produce Dept. Cletus Brown knew his produce. Cletus loved the company of others, talking with Lindy’s patrons. Always smiling, laughing, he had a great sense of humor and could start a conversation with anyone. And could he polka dance, he could cut a rug with the best of them. His endless energy earned him the nickname “The Energizer Bunny” he just kept going and going! A kind and generous person, who made everyone feel welcome. Always put the needs of others before himself and would do anything for anyone in need and did so on many occasions throughout his life. Preceded in death by his mother, father, brothers Jerome, Raymond, Lawrence (Lefty), sister Violet, daughter Renee (Brown) Hoppe and nephew Mike Robbins. Survived by his wife of 67 years Betty, sister Carol (Kenny) Clevers, daughter Cindy (Neal) Ewing, son David (Lisa) Brown, grandsons Adam Hoppe, Noah Ewing Jackson Brown, Granddaughter Casey Brown and great grandchildren Noella Ewing and Zachary Phillips. The family would like to thank all who provided care and support over the years; Daughter in Law Lisa Brown, Steven and Janet Gierczak, Sister in Law, Doris Lancelle and life-long friend, Judy Wilson. Caregivers Brenda Young and Gloria, V.A. Nurses Patty Farley, Patty Depies, Hospice nurses Sharon, Margaret, Kristin. These nurses and caregivers do a fantastic job under difficult conditions, providing comfort and support. Veterans Administration Green Bay Service Office, Appleton and Green Bay V.A. Outpatient Clinics, Comfort Keepers, Meals on Wheels Southern Care Hospice and Curative Connections of Northeastern Wisconsin. His warmth, generosity and kindness will be missed by all that knew him. Visitation will be held on Tuesday, September 18th from 3 PM – 4 PM at Nativity of Our Lord Parish, 2270 S. Oneida Street, Green Bay. A Mass will follow at 4 PM. Military Honors will follow the Mass at the Church. Entombment will be in Allouez Catholic Mausoleum. Newcomer – Green Bay. May you find comfort and eternal peace in the kingdom of heaven. Add your memories to the guest book of Cletus Brown.